Penny Clothing Alteration and Dressmaking provides a high level of quality wedding dress in designing, tailoring and alterations service. We have established an enviable reputation for delivering accurate, efficient and professional work by ensuring your wedding dress is a perfect fit on your most special day. If you have a particular design in mind, Penny can custom make and bring to life your dream wedding dress and make it a reality. Just send pictures (front, back) of the dress(es) that you like, and tell Penny if you want to change the designs such as adding sleeves or straps, changing necklines, combining one dress top with another bottom etc...Penny can match to create a unique new wedding dress style of your choice. We also specialise in wedding dress with lace , diamonds and hand beads alteration. Whether your wedding dress style is overly delicate, too large, too tight, or the shapes are not quite right, no problem, we are very versatile and our attention to detail ensures nothing is overlooked. We understand that your wedding day is the single most important and memorable day of your life so far and we take pride in making sure your wedding gown, by alteration or custom made, is a perfect fit for you that creates memory that will last forever . If your favourite wedding dress is a bit short, you are welcome to bring it to Penny to assess and we can advise you on how we can add the length to suit your height with the heels on. If other tailors cannot alter your favourite wedding dress, do not panic! Please take it to Penny and we will be able to alter it for you. Penny offers a variety of clothing alteration services. From wedding gowns to formal wear and costumes, we can also alter and repair suits, jackets, leather and fur coats. We offer extensive and quality alteration services to ensure the fitting is perfect. Also , we do replacement and matching clothes on the small accessories such as jeans metal buttons, pants buckle, make different size cloth buttons, hook and zipper , invisible mending garments etc....No job is too small or too complicated , Customers satisfaction is very important to us and we can guarantee you of quality results. 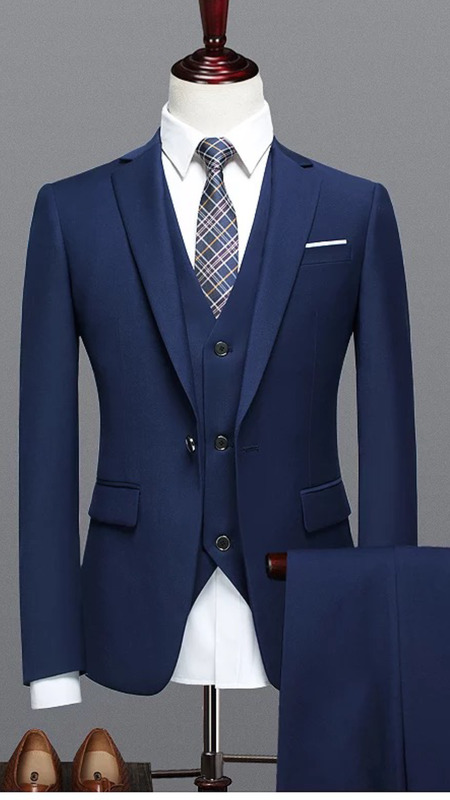 we carry out all types of alteration for men's formal attire , from a dinner suit or tuxedo to silk waistcoats. Suits, trousers, shirts , jackets, invisible mending work are carried out to the highest standard. Penny has meticulous attention to detail, offers reasonable prices and has exceptional customer service. For all aspects of men’s garment alterations Penny provides the utmost quality alteration services using traditional and perfected techniques. Penny's highly skilled alteration experience ensures your garment will have an original finish which means that any alteration performed will be invisible and untraceable. Original stitching, thread colours and any other detail will be matched perfectly. we providing professional and professionalised alterations service for all ladies fashion styles,school formal,delicate evening wear,cocktail dresses and mother of the bride(groom)dress,with industrial-style sewing machines to cater for all sorts of fabrics sewing needs, including lace, tulles,full sequinned, leather, velvet, taffeta,stretch fabrics and silk embellished, No matter what's hanging in your wardrobe, penny is reliable and very versatile with our customers' alteration requires and can transform your favourite garments for a flattering look and make it fit you better. your garments will look like new and you will not notice the mended part. We can adjust and restyle your favourite suits, shirts, dresses and skirts to fit your new shape. We can downsize it by taking in the sides, adjusting shoulders or upsize by inserting fabric panels into the seams and make it a fresh and designer look. Penny is highly experienced, skilled and creative seamstress, she is able to renovate or re- make and modernize your family heirloom dress , tailor make the dress of your dreams. We providing professional the finest in Bridal gowns and Formalwear for both Men & Women high quality dressmaking services, Choose your own design and fabric and we will create a perfect fit for you at an affordable price, including tailor made special occasion outfit and costumes for concert and show wear, Penny can replicate various well known labels and your favourite design from magazines or online pictures according your desire , mix and matched to create a new fashion style for you. Pricing is determined by the complexity of the style of your garments. If you would like a quote, please email us a photo or visit us.